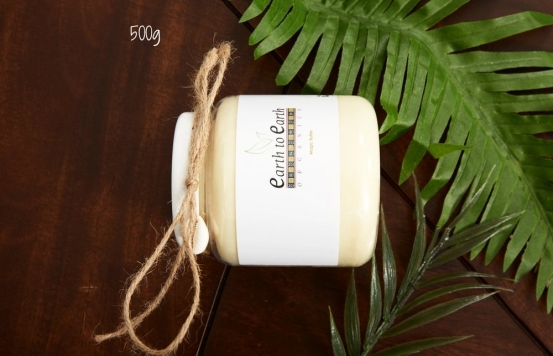 This is our Sunkissed Butter, triple whipped to create a silky smooth body cream that is rich in all natural ingredients. Similar to our magic butters, this has the additional benefit of being a natural mosquito repellant and SPF, however we wouldn’t advise this to be your only form of protection against the sun but it will give you that extra glow. Very popular product for holiday goers; it will keep your skin soft, nourished and hydrated all day long. We do not dilute our items by adding any water or chemicals. The main ingredients are: shea butter, cocoa butter, grapeseed oil, safflower oil, coconut oil and aloe vera. Beautifully fragranced with essential oils: citronella, lemon eucalyptus, peppermint oil. Our body butters are natural products. Being natural comes with natural side effects too, so when the temperature is warm the butters will be softer and when it is cold, they will be slightly harder. Handmade by us, we swear by every Earth to Earth Organics product so we use them too because we believe in the best for ourselves as well as our customers. This is a great all over body moisturiser and you’ll see that a little goes a long way. This 500g jar is perfect for the entire family.